Wireless Networking Security – How About a Refresher Course? 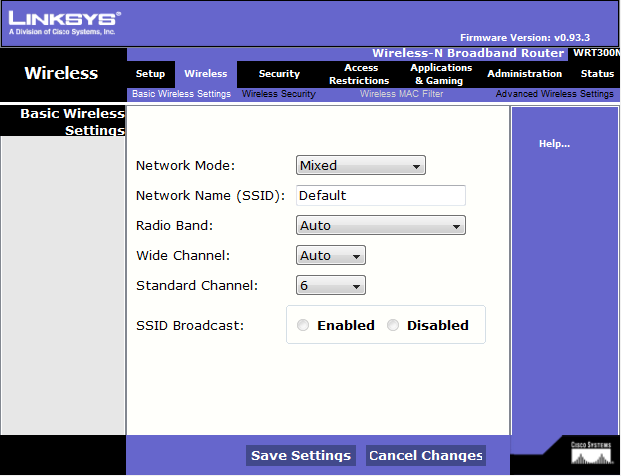 All wireless routers have a Service Set Identifier (SSID) that identifies them to network computers. Routers from the same manufacturer generally ship with the same SSID. Once you get your wireless router or wireless access point set up you should set your SSID to something unique. This ensures you are connecting to your network and lets your neighbors know this is not their network. For increased security you can turn off the broadcast of your SSID. This ensures your router isn’t displayed in the list of available networks. No one will even see your wireless network. This adds a layer of protection beyond the essential strong password. Now on to security: Running an unsecured network will earn you brownie points from neighbors and hackers, and allow anyone in range to connect to your network and utilize your network connection. This will slow down your connection and create security problems such as providing unintentional access to your secured / shared files etc. Wireless routers and access points support a variety of encryption methods, such as WEP, WPA, and WPA2. Let’s take a little closer look at these security algorithms. Wired Equivalent Privacy (WEP): The original encryption protocol developed for wireless networks. As its name implies, WEP was designed to provide the same level of security as wired networks. However, WEP has many well-known security flaws, is difficult to configure, and is easily broken. DON’T USE IT! Wi-Fi Protected Access (WPA): (WPA Personal): Introduced as an interim security enhancement over WEP while the 802.11i wireless security standard was being developed. Most current WPA implementations use a preshared key (PSK) and the Temporal Key Integrity Protocol (TKIP, pronounced tee-kip) for encryption. Wi-Fi Protected Access version 2 (WPA2) (WPA2 Personal): This encryption method is based on the 802.11i wireless security standard, which was finalized in 2004. The most significant enhancement to WPA2 over WPA is the use of the Advanced Encryption Standard (AES) for encryption. The security provided by AES is sufficient and approved for use by the U.S. government to encrypt information classified as top secret. 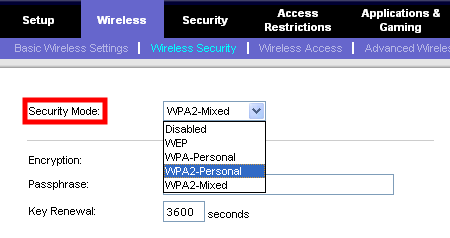 Some older legacy devices may not recognize WPA2. A strong password consists of at least eight characters, but preferably 12 or more. Your password should have a combination of letters, numbers, and symbols (@, #, $, %, etc.). Passwords are typically case-sensitive. A strong password contains letters in both uppercase and lowercase. For convenience, some like to use several words that they can remember and quickly type in sequence such as “yellowrobinduckfiveaces”. If you use this method, make sure the words are not related, and not in sequence and use a minimum of 16 characters. To state the obvious, the password “ThreeFourFiveSix” is not a secure password. Your password should not contain common words, names, your birthdate or common strings such as “1234” or “abcde” etc. You should not use common keyboard strings such as “qwert” or “yuiop” etc. For a secure password, you can use an online password generators such as Random.Org. This is a great option for generating a secure password. Enjoy your secure Wireless Network!